Plant-based treatments in Ayurveda may be derived from roots, leaves, fruits, bark, or seeds such as cardamom and cinnamon. 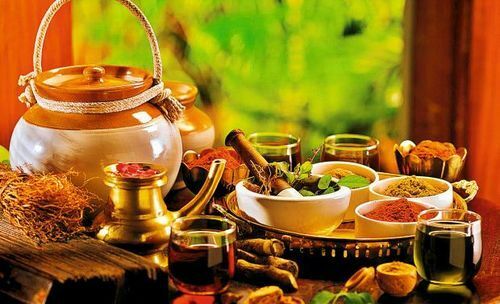 Two of the eight branches of classical Ayurveda deal with surgery but contemporary Ayurveda tends to stress attaining vitality by building a healthy metabolic system and maintaining good digestion and excretion. Ayurveda also focuses on exercise, yoga, and meditation.One type of prescription is a Sattvic diet.